Comment: Light signs of use. No battery, original box or manual. Well, this logger is very easy to use, and it does what it's supposed to do. I've been using it for around three months and it's been fine. this has been a good product to me, but there are some things that would like to point out. First, the battery that came with the product was already without charge. Second, the rubber cap on one side is too weak, I did not notice when I lost it, but i guess that will not be a problem if you don't accidentally drop it into liquids. and the third flaw (and more serious) is that the program that comes with the logger is not available on the internet in case you missed the CD that comes with it. I checked the manufacturer's web site and I did not find it. Besides, I think that program is a little primitive and it seems they did not improve it. I strongly recommend that, if you buy this product, make a backup copy of the installation program, because if you miss that program, your logger will be useless. IMPORTANT NOTE TO POLAR HEART RATE MONTIOR USERS: This unit will NOT work with the T31-Coded Chest Strap! 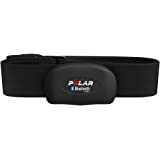 You must use a Heart Rate Monitor from Polar that is compatible with the standard T31 chest strap. 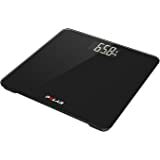 I just purchased this product and for the price am pretty happy with it thus far. 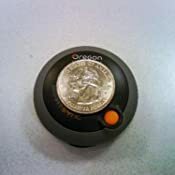 It is very small (the center clear plastic display area is exactly the size of a nickel) and weighs 3/4 of an ounce or about 22 grams. There are two reasons I cannot give it 5 stars. 1. There is little documentation as to which heart rate chest straps this unit will work with. Turns out that the Polar T31-Coded chest strap that came with my Polar F6 watch, does not work with it. Luckily for me I have an older plain T31 chest strap that works fine (with both the data logger and my Polar F6). 2. The battery was almost dead when the unit arrived. I had to go out and spend an additional $5 (us dollars) to get a replacement battery before I could use it. 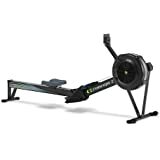 So far though, the unit does what it claims to do and that is give me second by second heart rate information during my workouts. Also, I am using the software on Windows Vista with no problems. 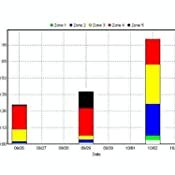 To avoid issues that others may have had in transferring data, install the software BEFORE connecting the data logger to the PC for the first time. I have used this with several different POLAR compatible chest straps and it has worked the them all. 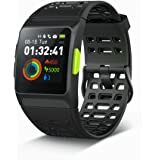 I like it better at the gym than the garmin forerunner HRM/GPS because the cardio equipment at the gym use the POLAR wireless standard while the GARMIN forerunner is not compatible. I use it to keep track of how many times I went to the gym. I have never over run the internal storage. The smartsync must be located close to the halter strap for best performance. Wish there was some way to pull off the data using linux. Its Windoze only app and does not run under WINE (the garmin.does have linux support ). I recommend this little gadget for keeping track of your workouts. It will tell you whether you were working out or talking to the gym babes. I purchased this for $12.44. It came with a dead battery, which I replaced. The little USB port cover broke off when I opened it. 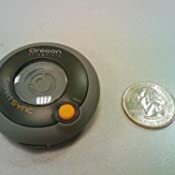 It works with my cheap Timex T56951 chest belt, and the wristwatch unit that accompanied that belt does not appear to be necessary for the Smartsync data logger to record data. Other reviewers have had it fail to work with their Timex chest straps (and some reviewers have had it fail to work with any chest straps). - A PC. The software is not Mac-compatible. I installed the software on my Win 7 machine (64-bit). - A chest strap (sometimes called a chest belt, or, confusingly, a "sensor"). 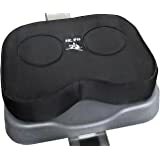 A chest strap is usually sold in the same package as a wristwatch unit that displays your heart rate, although not all wristwatch units have chest belts. The chest belt has a sensor on it that records the electrical activity of your heart and transmits that info to the wristwatch unit. 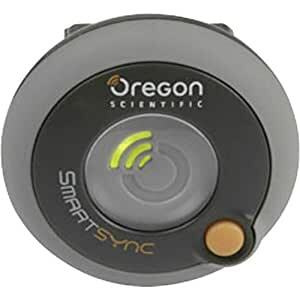 The Oregon Scientific Smartsync Data Logger "evesdrops" on the data that the chest belt is sending out. - You may or may not need a wristwatch unit. My chest belt appears to turn on automatically when I wet the sensors and put it around my chest, and works even when the wristwatch unit is out of range in the next room. 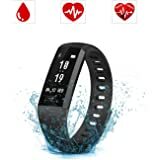 I read a review of a Timex data logger similar to the Smartsync logger where the author said their wristwatch was necessary to activate their chest belt, but that after it was activated they could take the watch off. You can purchase a chest strap without a wristwatch unit on Amazon, although I don't think they're usually sold on their own in stores. - If the battery is dead when it arrives (mine was, and so were a number of other reviewers'), you will need a CR-2032 battery and a tiny screwdriver. 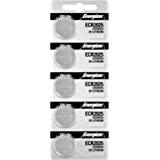 CR-2032 batteries are little round batteries about the size of a quarter, and are not very expensive (like $2-3). - The data logger's user manual is not very helpful. 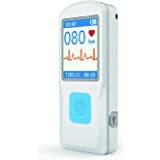 It states that it is "compatible with heart rate chest belts transmitting digital or analogue signals on 5.3kHz (such as the chest belts supplied with the following models: SE102 / SE200 / SE211 / SE212 / SE232 / SE233. Please check your chest belt user manual for more information or visit [...]". Unfortunately, there isn't much if any info on the Internet saying which chest belts are 5.3kHz. 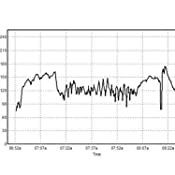 When I search for "chest belt 5.3 kHz" most of the results are for the Smartsync data logger! 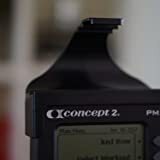 - Several reviewers have reported that it doesn't work with the coded T31 Polar chest strap; instead, you need the older T31 non-coded chest strap (which I have also seen referred to as a "T31 standard chest strap"). "Coded" means that your wristwatch unit won't pick up signals from other nearby wristwatch units, like if you're on a treadmill at the gym and the person next to you also has a wristwatch unit. 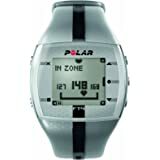 When I went to Best Buy to look at heart rate monitors, the Polar monitors there all had the coded chest straps, which is why I bought the Timex (which was also the cheapest heart rate monitor they had). The Amazon page for my Timex (the T56951) says it has an analog (also spelled analogue) strap. My impression is that newer models tend to be digital rather than analog, and coded rather than non-coded. I'm not sure what "analog" means for a chest strap, but my chest strap emits a quiet high-pitched beep in sync with my heart rate, causing me to wonder if the beep is the actual signal. - Only works for the PC. - You can export to a csv or text file and open it in Excel. It gives you some info at the top with a date and time and the sampling rate, and then it gives you one heart rate number per row. - Oddly, it only installed a start menu entry on my administrator account, but if I go to C:\Program Files (x86)\Smartsync WM100, I can make a shortcut to the the Smartsync.exe file and it works fine. 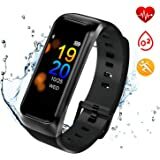 - It has a little calendar that lets you navigate through dates, and a box that shows the different "activities" (length of recorded time) for that day. 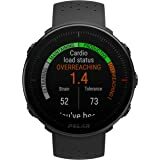 When you click on an activity it shows in the "Overview" box the start date/time, end date/time, average heart rate, maximum heart rate, total time recorded, time "in-zone", upper limit, and lower limit. Those last three are all empty on mine. - There's a heart rate graph that shows you your heart rate over time. The heart rate (y-axis) runs from 0 to 240, with tickmarks at 30-beat intervals. It's about 2 inches high, so you're not going to be able to see small fluctuations in heart rate easily. If you click on it there's a magnifying glass but the magnifying glass only lets you zoom in on the timespan, not the heart rate range. You can export the data to a csv or text file and open it up in another program (like Excel or Notepad), though.